Thanks to Micheal Bartlett we once again had our annual Snake Road Drive, now in its 3rd edition. 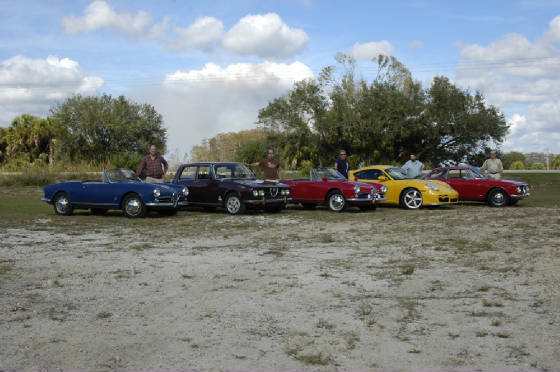 We had an impressive turn out with four, I repeat four, Alfa Romeos and a Porsche. We enjoed the company, a relaxing drive in super Florida weather and plenty of food. New member Armando even brought the kids, who were better behaved than some of us! Click on the picture to access the gallery. See you next year.